Atelier Renard - since 1930. "Sellier à Paris." Le luxe rare du sur-mesure fait main. 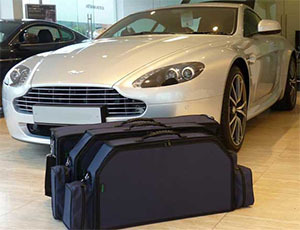 We work together to create bespoke products. You and us: together. You tell us what you want and we have the expertise to make it happen. FOSTER & SON - est. 1840. 83 Jermyn Street, London. 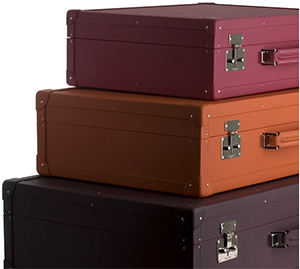 "You can have us make the finest luggage in the World to your specifications." 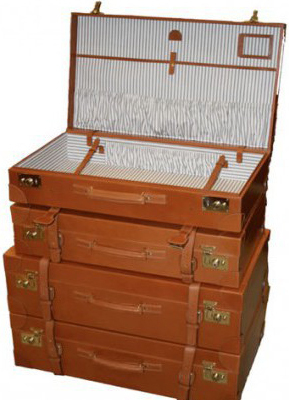 Globe-Trotter - since 1897. 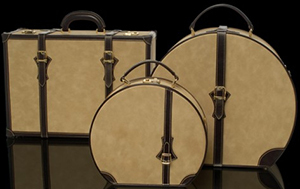 "The Globe-Trotter Bespoke Service is exclusively available, by appointment only, at the Albemarle Street flagship store." 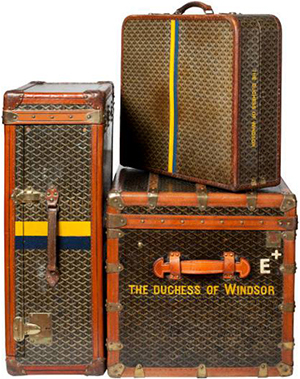 GOYARD - French luxury luggage manufacturer established in 1853. "Unique Creations Testifying to a Unique Know-How." 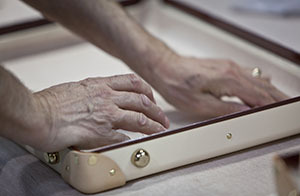 Each special order by Goyard is born out of the meeting of our artisans’ skills and the wishes of a customer. 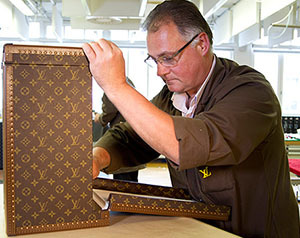 Louis Vuitton - "Our craftsmen will on request customise Louis Vuitton products, namely trunks, soft-sided luggage and certain accessories." Luis Negri - since 1967. "Luxury Luggage." 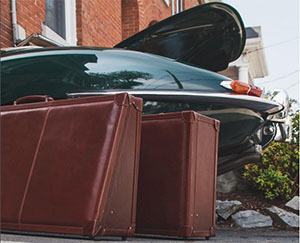 Custom made luggage & trunks. Noble & Graff - since 2011. Handmade in England. "Manufacturer of the World's Finest Travelling Trunks." 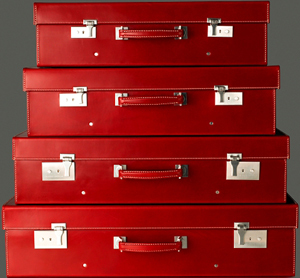 Committed to producing the finest custom-made trunks, jewellery boxes, homeware and leather goods in the essence of the 1920's bespoke luxury. Pinel & Pinel - since 1998. 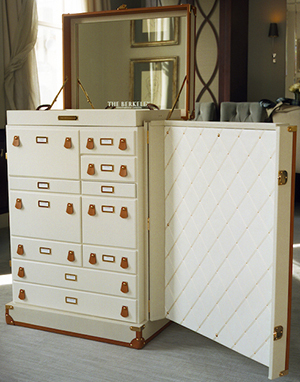 The luxury house well known for its contemporary and bespoke trunks. TANNER KROLLE - since 1856. 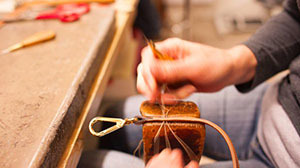 "Our bespoke service is craftsmanship at its finest. This special service is provided on an appointment basis only." Troubadour - "Our bespoke service gives you creative control, allowing you to design and personalise each piece to your heart's desire, whether it's for you or a gift. The talented Italian artisans whose exceptional leathers serve as the heart of each Troubadour piece are poised to receive your creative input and help realize your vision for your personalised product."